Simple but effective, the Corrido Prohibidos is a great way to get your beer and tequila in one simple drink. It is very refreshing and a great way to cool down on a hot summer afternoon. This drink is very easy and is really nothing more than adding a shot of tequila to your favorite beer. There is nothing wrong with that! If you want to enjoy this on the go -- say, the beach or a barbecue -- and don't have glassware available, just take a couple drinks of a freshly tapped beer, add tequila and a lime to the bottle. Done! Salt the rim of a chilled beer mug. Tip the glass and slowly pour the beer on top. Named for a style of Mexican song that mixed poetry with folktales in the 19th century, Corrido was a great tequila. This recipe was written for the brand's Cristalino tequila, however, it seems to be lost to time and is no longer produced. Recent research (in 2016) leads me to believe that the brand held on for a couple of years after the founder's death in 2010. A handful of bottles can still be found, but it is now very hard to come by and is not expected to stay around for long. So, which tequila should we use? The simple answer is: Whatever you like! Corrido was a great tequila, but let's face it -- any tequila will mix well with a Mexican beer. This recipe is not special and it does not rely on any certain aspect of the liquor it was made for. The idea of this beer recipe is more important than the brand, so pick up your favorite Blanco tequila and add beer. For a good Mexican beer, you have many options. Tecate, Corona, and Dos Equis are the most popular and are readily available in the U.S. and throughout the world. Dos Equis goes nicely with the tequila background, but you may want to go with one of the lighter options. 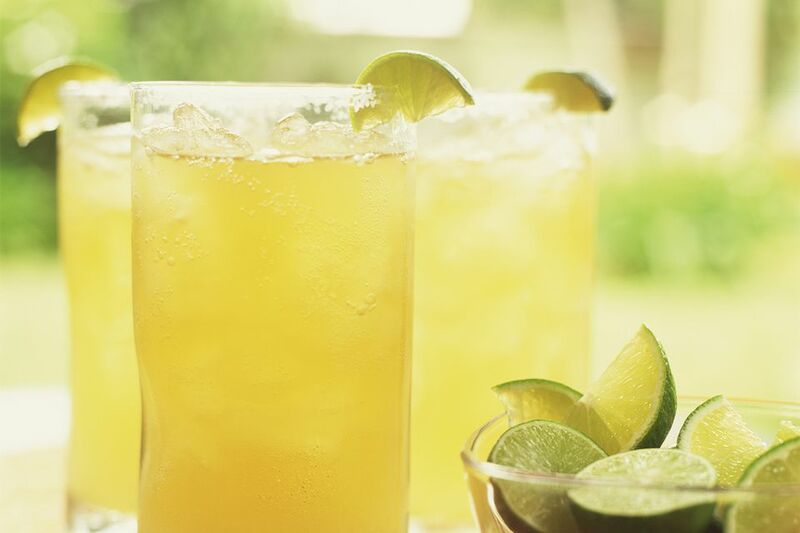 Once you have the tequila and beer, all you need is a lime wedge. Corona drinkers will find this very familiar because it has become the way to serve that beer in the U.S. If you want to 'fancy' this up, go ahead and rim your glass with salt. Better yet, rim just half the glass so you can drink from the salted or unsalted side as you go. How Strong Is the Corrido Prohibidos? The tequila obviously adds an alcoholic punch to the average glass of beer, but even then this drink is relatively mild. Let's use the 4.55 percent ABV Tecate for the beer and assume our tequila is 80-proof (which most is). In this instance, the finished Corrido Prohibidos would weigh in at around 14 percent ABV (28 proof), or about the same as a glass of wine.